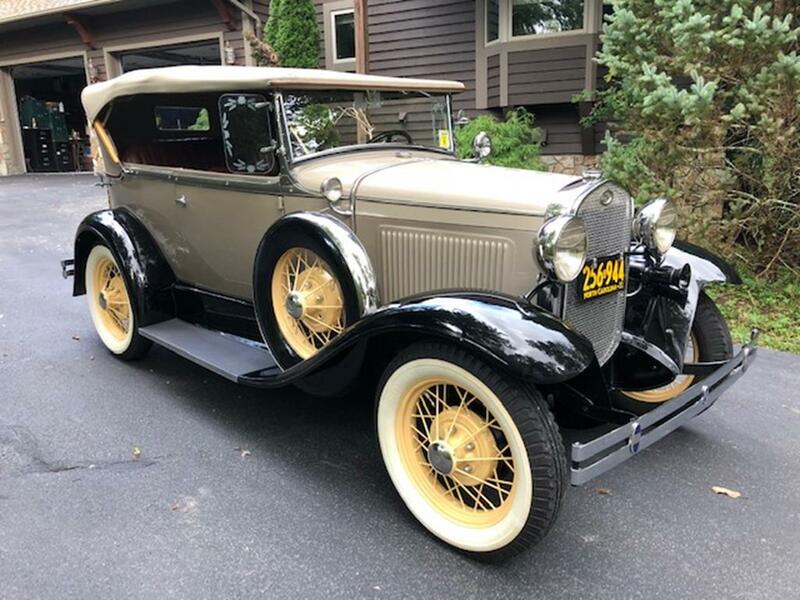 One of reportedly 2,229 top-of-the-line Deluxe phaetons built in 1931, this late ’31 has the appropriate indented firewall and gas shut-off under the hood. 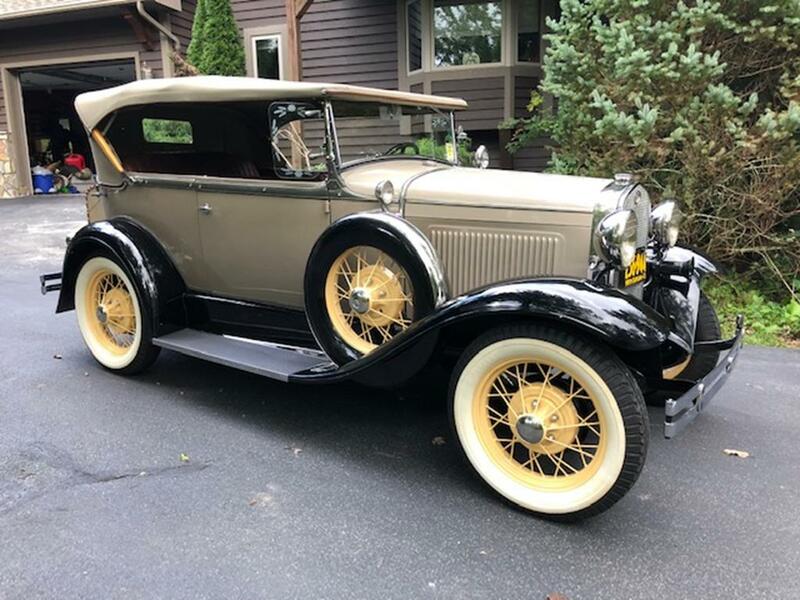 This fine example was restored, owned, and shown by the late Mr. John Wellborn, who had owned and restored 12 Model A’s prior to restoring this rare car. 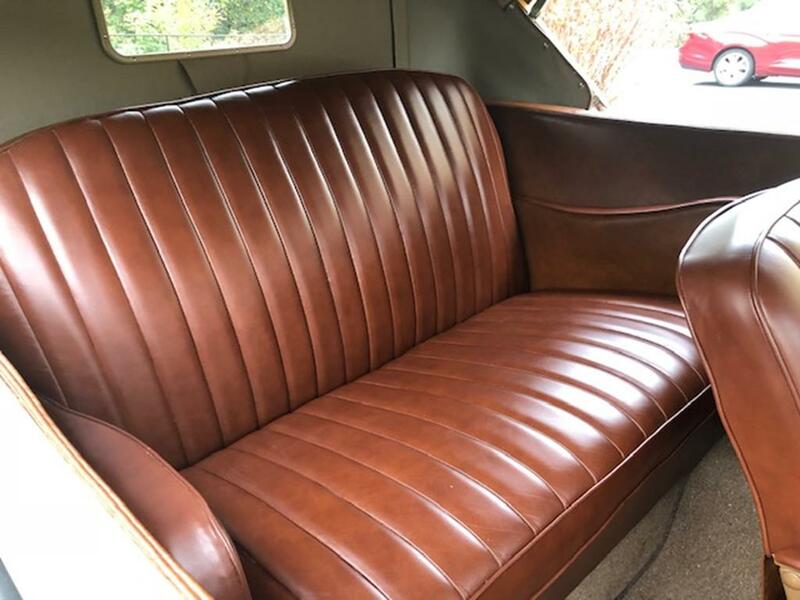 Restoration was completed in the mid-2000’s and the car was bought from the late Mr. Wellborn’s Boone, North Carolina estate this summer. 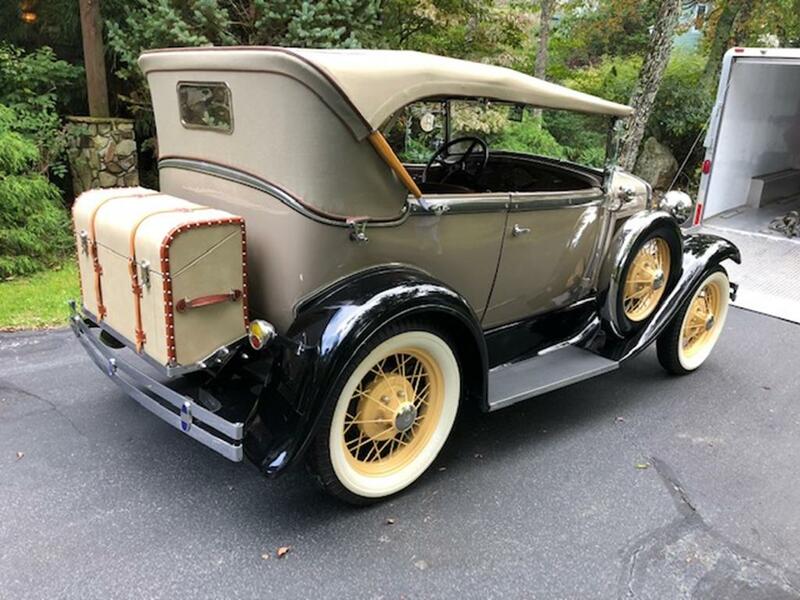 It has a North Carolina title. 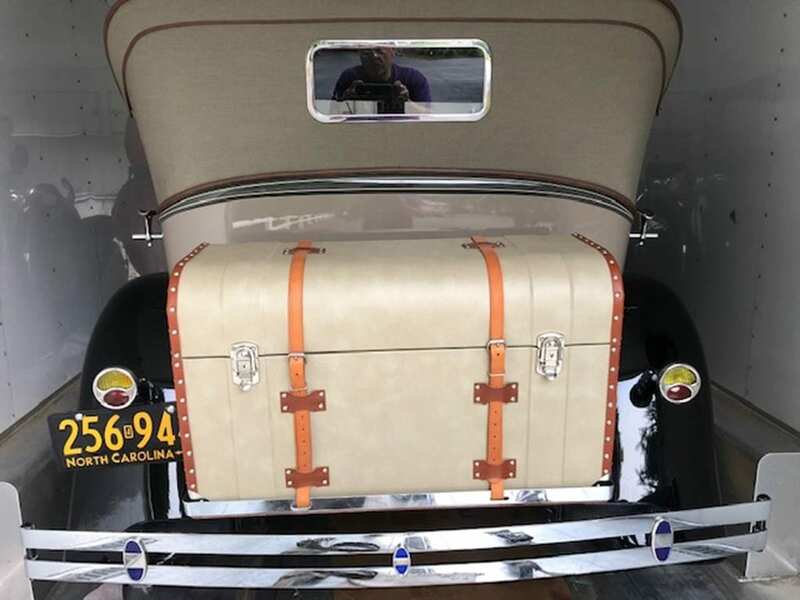 It is loaded with “jewelry” including Stainless-covered dual side mounts, spotlight, marble shifter knob, radiator guard, wide whitewall tires, and etched windwings. 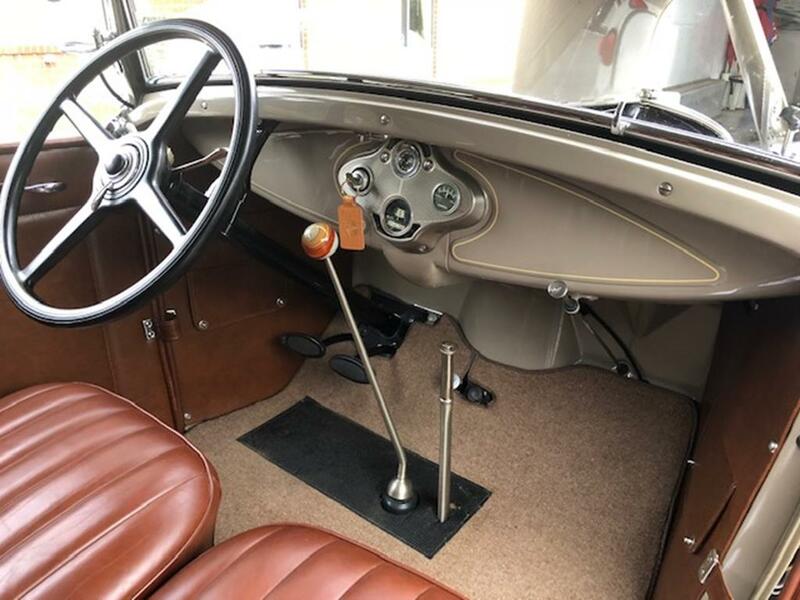 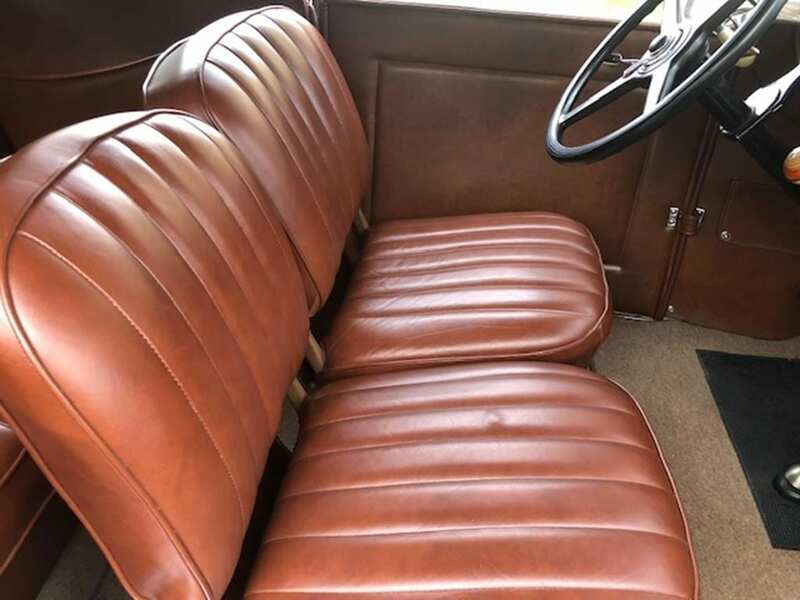 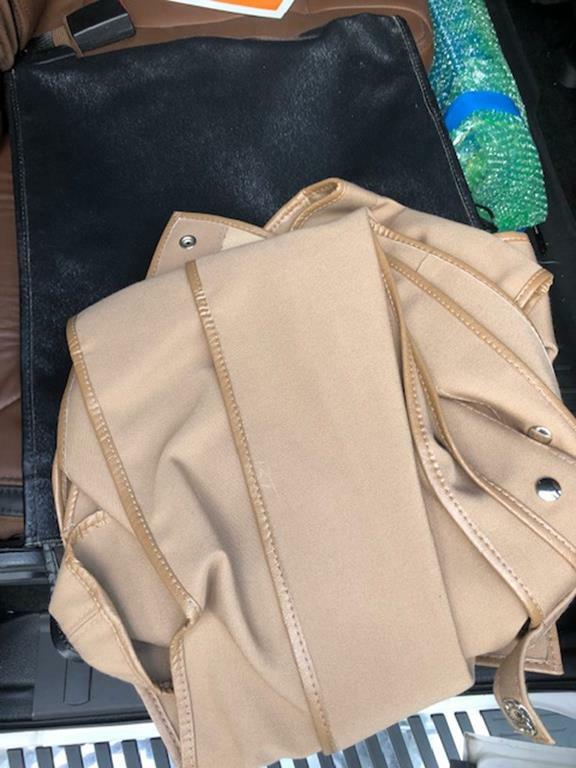 Restored in the correct original Stone Brown & Stone Deep Gray with Tacoma Cream wheels, it has LeBaron Bonney leather seating, top, new top boot, and side curtains. 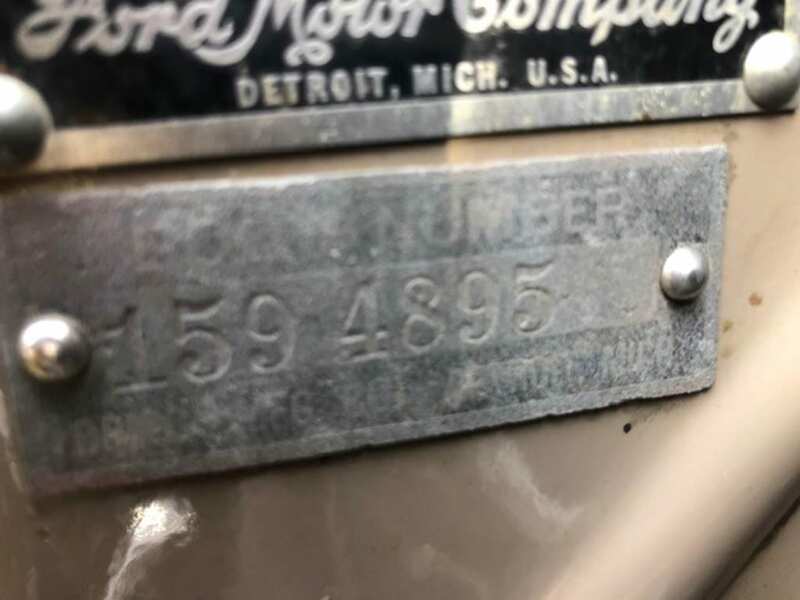 A recent conversation with the painter confirmed that Mr. Wellborn started with a solid, rust-free original. 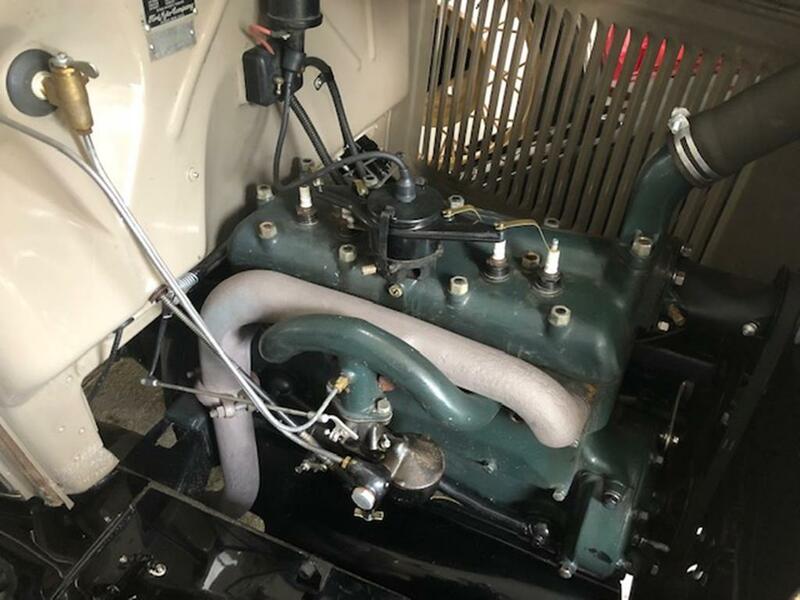 Mechanicals were rebuilt at the time of the restoration, and the engine has recently been tuned and serviced.